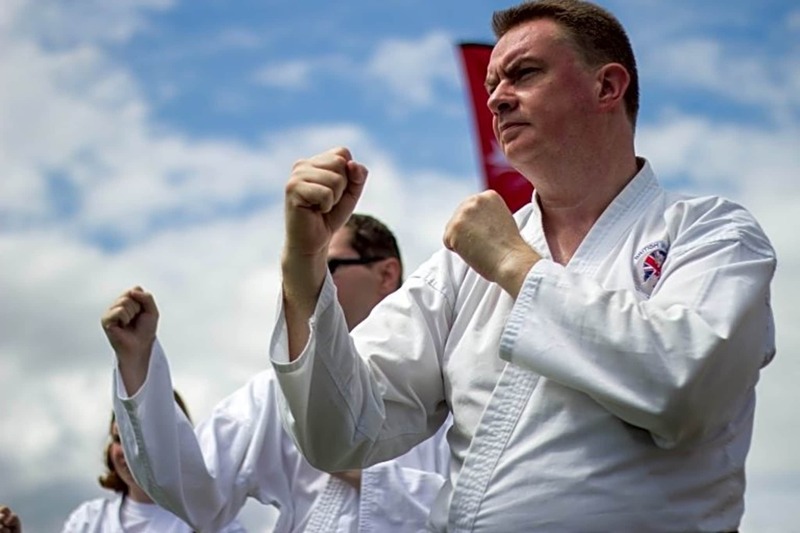 Zanshin Wado-ryu is a small, friendly and traditional Wado-Ryu Karate club providing a high standard of training and support to students of all ages starting from ages 8 years onwards. 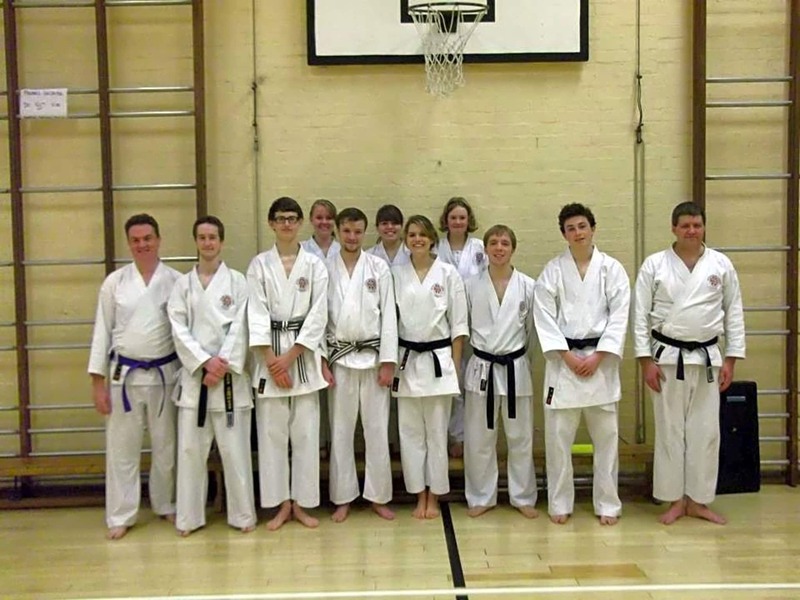 The club caters for a wide range of ability levels. 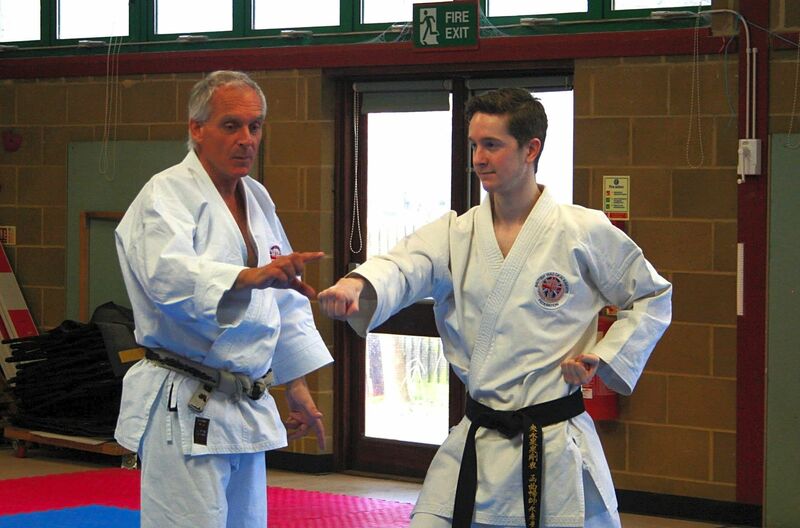 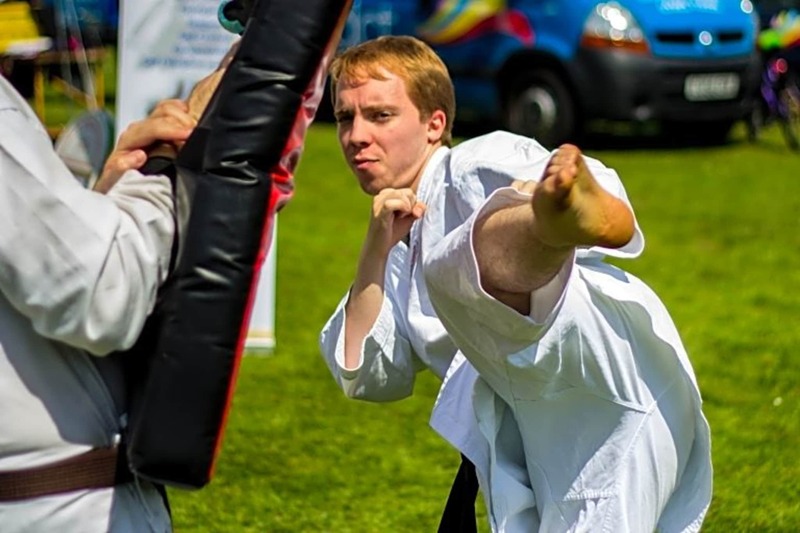 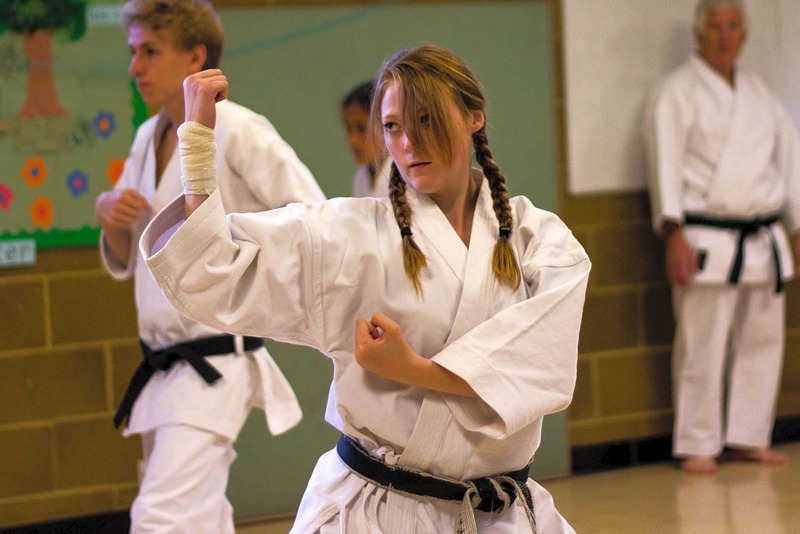 The club’s syllabus comprises of the traditional karate practises of Kata (formal exercise), Kumite (sparring) and Kihon (fundamental techniques) within a framework of physical & mental fitness, flexibility and fun. 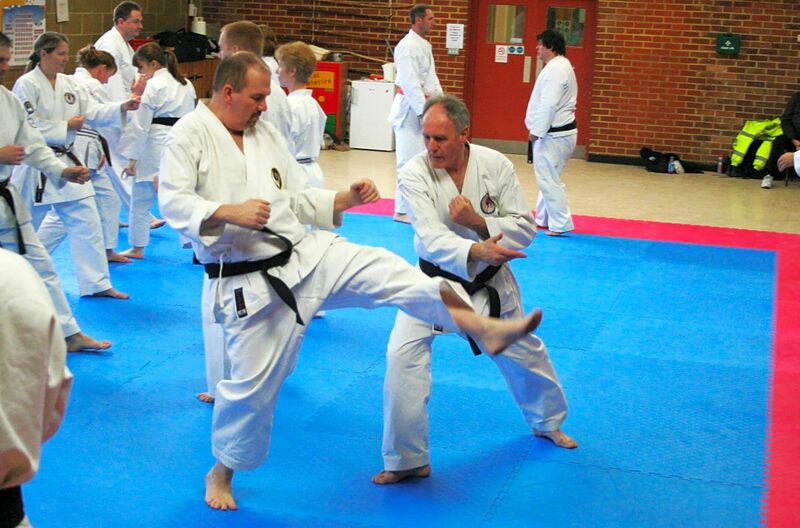 Sensei Gary 8th Dan demonstrating on Sensei Robbie - artistically ;-)The name Wado-ryu has three components – Wa means “harmony”, Do means “way” and Ryu means “style”. 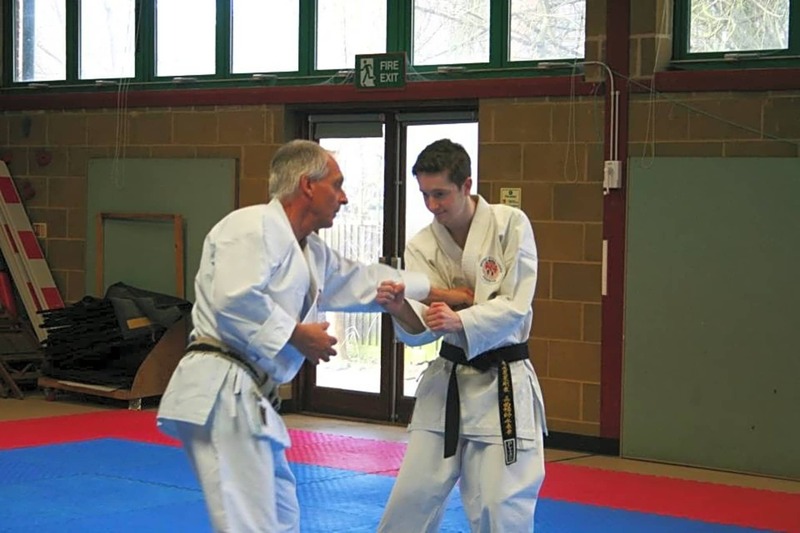 The discipline was founded by Hironori Otsuka (1892 – 1982) 10th Dan who opened his first karate school in 1934, blending Shotokan with Shindo Yoshin-ryu.